Last week on American Horror Story, the cast was thinned even more. After smashing her husband’s head in a Negan-esque scene, Shelby (Lily Rabe) committed suicide in front of Dominic (Cuba Gooding Jr). Lee (Adina Porter), Audrey (Sarah Paulson), and Monet (Angela Bassett) somehow escaped the Polk family, despite Lee losing an ear and plenty of flesh, and Audrey down a tooth. They murdered Momma and Baby Boy Polk on their way out, unfortunately leaving behind video evidence. Monet was lost in the woods, and when Lee and Audrey get back to the house and find Shelby’s body, they kick Dominic out right into the grasp of Piggy Man and soon, we’re down one more. We know only one person from the spinoff, Return to Roanoke: Three Days in Hell survives and we’re running out of candidates. Just then Dylan (Wes Bentley) showed up dressed as Piggy Man. Spoilers for this week’s AHS: Roanoke below. Last week, we discovered the top secret theme of Season 6 of American Horror Story — My Roanoke Nightmare. The infamous first colony that disappeared hundreds of years ago is the new home to Shelby and Matt Miller. The show is different from prior seasons in that it’s done “Unsolved Mysteries” style with the “real” Shelby (Lily Rabe) and “real” Matt (Andre Holland) narrating their experiences to the camera, while we watch actors in a re-enactment, Sarah Paulson and Cuba Gooding Jr. After a big city scare, The Millers retreat to Matt’s home state, and buy a huge colonial in Roanoke, NC. They instantly become targets for the locals who attack Shelby while Matt is away on a work trip. There also, of course, is a mysterious force lurking in the woods around the house. When Shelby finally takes off, she veers off the road and ends up in the middle of the woods witness to a bizarre cult. Spoilers below for this week’s AHS. We were due for another story teasing possible ways that our beloved Firefly could return, and here it is. At this point some may just prefer to ignore news like this for fear of re-opening old wounds, but not here! Because the day we stop talking about Firefly is the day the bad guys win, and, even if you’re convinced the show will remain dead, we fans are far, far too stubborn for such nonsense. So let’s get to it! Tim Minear, an executive producer, writer, and director of Firefly, recently spoke about the series and how he hasn’t given up hope of it being revived at some point. According to him, the best and most likely scenario that would work is some sort of limited series, which is becoming an increasingly popular option. Continue reading to see what he had to say. Just recently we found out that the cast of Joss Whedon‘s cult classic series, Firefly, would be reuniting at San Diego Comic-Con in celebration of the 10-year anniversary of the show. It will be the first time the show has ever had a panel at Comic-Con, though if it had the popularity it has now back when it first arrived, surely this would be one of many memorable panels. Ah, yes…life may be too damn short for ifs and maybes, but they fit perfectly into dreams. But alas, some good news is to be had! It’s being reported that a brand spankin’ new Firefly TV special titled Browncoats Unite is set to air November 11th on Science Channel. This year’s San Diego Comic-Con convention is still a couple of weeks off, but already geeks who will be in attendance have something special to look forward to. 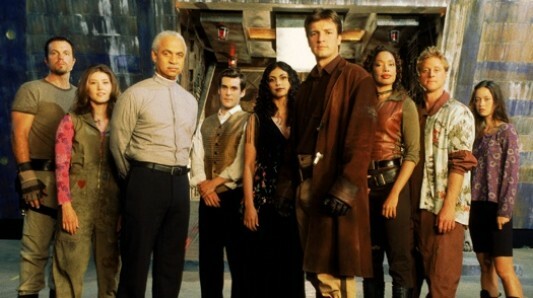 For the first time ever, Firefly will be making its way to Comic-Con 2012. Don’t get too excited, however—it’s not to announce the show’s return or anything along those lines. The panel is to celebrate the 10-year anniversary of the fan-favorite sci-fi western, which was canceled far too soon an immensely fast-moving decade ago. It will be held on Friday, July 13 at 12:30 p.m. in Ballroom 20. The Blu-ray deal of the week at over at Amazon this week is Firefly Complete Series on Blu-ray for $25 (that’s 72% off the list price of $89.99)! Note, this deal is valid only for this week through December 4, 2010. This Blu-ray edition comes with all 14 episodes of the Joss Whedon scifi space western television series Firefly, which was canceled much too prematurely by Fox back in 2002 before the first season was even completed. This Blu-ray edition includes the last three episodes that never aired on television. Below is a run-down from the product page of the episode/special features that appear on the 3-disc Blu-ray set. Amazon has resurrected one of its amazing deals for today’s Gold Box deal of the day! Right now, the Firefly Complete Series Blu-ray collection is on sale for only $26.99! (that’s $63 off or 70% off the list price of $89.98). This deal is good only for today, Sunday, September 12, until midnight PST while supplies last. 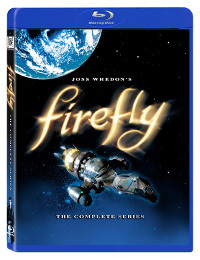 This Blu-ray edition comes with 14 episodes of the Joss Whedon scifi space western television series Firefly, which was canceled much too prematurely by Fox back in 2002 before the first season was even completed. This set includes the last three episodes that never aired on television. The Sci Fi (SyFy? If we all refuse to acknowledge that, will they change it back?) channel has already far and away proven that they can take an old TV series, completely restructure it, and create one of the best shows of all time. Now that Battlestar Galactica has come and gone, Sci Fi is developing a new potential series based on Alien Nation with fanboy favorite Tim Minear writing. 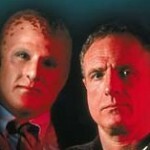 Alien Nation first started as a movie starring James Caan and Mandy P in 1988 that turned into a 1989 TV series on Fox. The show was canceled after one season, but has seen five new TV movies made since then, as well. The show is basically a social observation using a fictional setting and aliens known as “Newcomers” who were at first made to live away from humans, but now have been allowed to reside among us; of course this doesn’t stop racism from continuing. The original movie for which this new project is being based followed an L.A. cop (Caan) whose partner is killed while investigating the Newcomers. When the first alien police officer comes to his department, he volunteers to join up with him in order to sneakily try and investigate the death of his former partner.